As the Celtics reportedly used Tom Brady to try and lure Kevin Durant to Boston on Saturday, they also simultaneously inked Al Horford to a four-year, $113 million deal. Horford&apos;s decision to leave the Atlanta Hawks, the only pro organization he&apos;s ever played for, for Beantown was reportedly irreversible once ATL signed Dwight Howard to a three-year deal the day before. According to CBS&apos;s Ken Berger, the 30-year-old Horford was initially unhappy at the Hawks&apos; reluctance to woo him with a five-year max deal, but also that a major factor in his decision was Howard signing with his (now former) team. 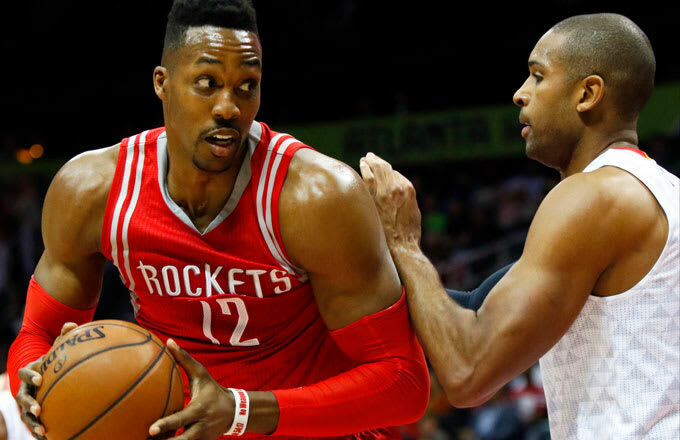 A source close to the situation told CBS Sports, in a way that&apos;s impossible to misinterpret "he didn&apos;t want to play with Dwight." In addition to that, competing in front of a half-empty Philips Arena (the Hawks&apos; home court) also helped the four-time All-Star make his decision. That&apos;s according to his dad, Tito, who told The Boston Globe on Saturday night that the passionate, obsessive, arguably rabid fandom of crazy Boston people pushed Al towards the Celtics, saying "there wasn’t as much motivation for him when he saw all the empty seats when they were winning [in Atlanta]. He said to me, ‘Dad, when we were playing Boston, they were down 15 points and they were cheering their team like they were winning the game. They’re so into the game.’"
For the record Boston averaged about 1,500 more fans that Atlanta last season, and less than 200 more the year before. Still they&apos;re really freakin&apos; loud, as you can likely tell through your TV set. If you&apos;re an OKC fan nervously awaiting Durant&apos;s decision, at least you don&apos;t have to worry about him bailing due to a lack of crowd noise from the hometown fans.